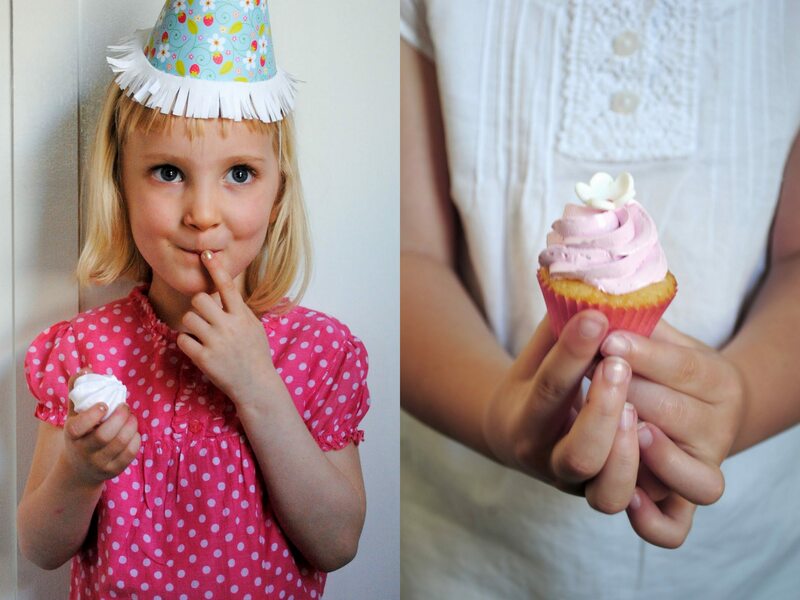 I love featuring birthday parties, because I find them so fun and also because I think so many great ideas can be translated to any event, large or small. 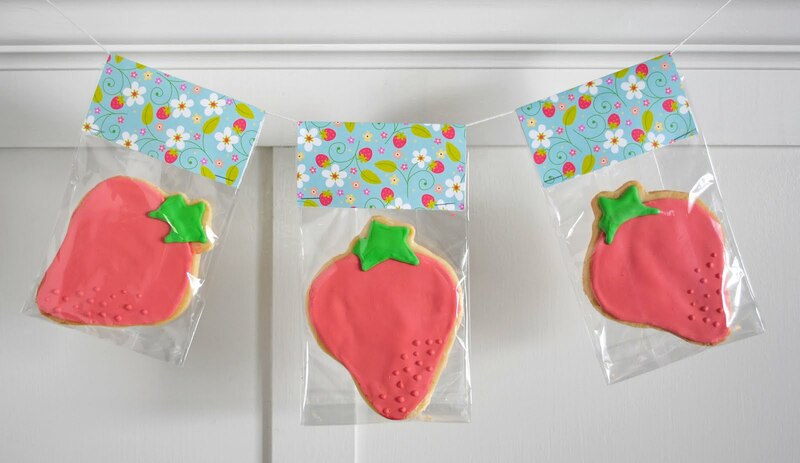 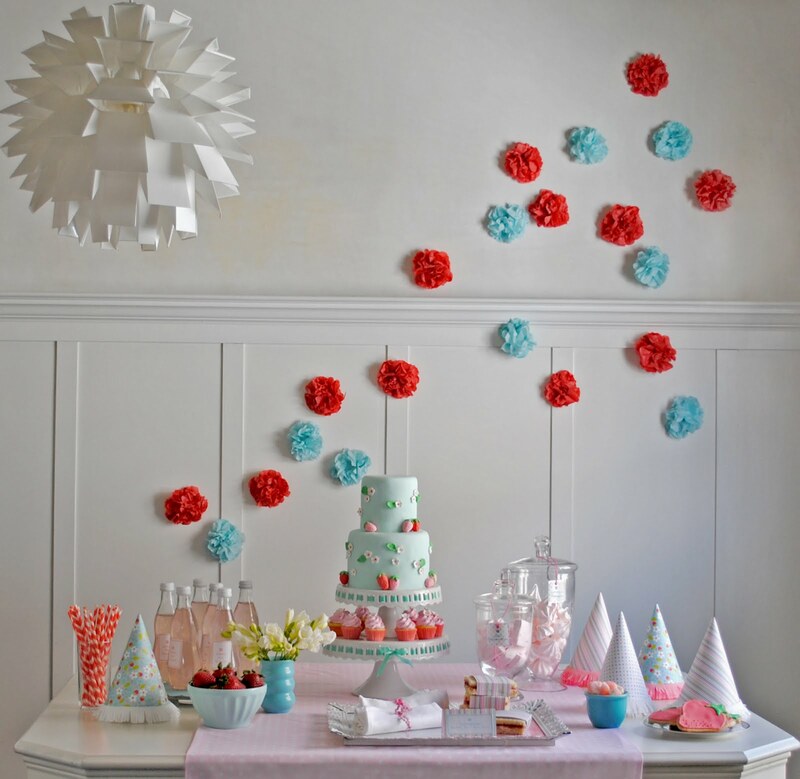 This party is a particularly sweet combination of child-like details and grown up sophistication that I think would be perfect for a really playful wedding or a great baby or bridal shower. 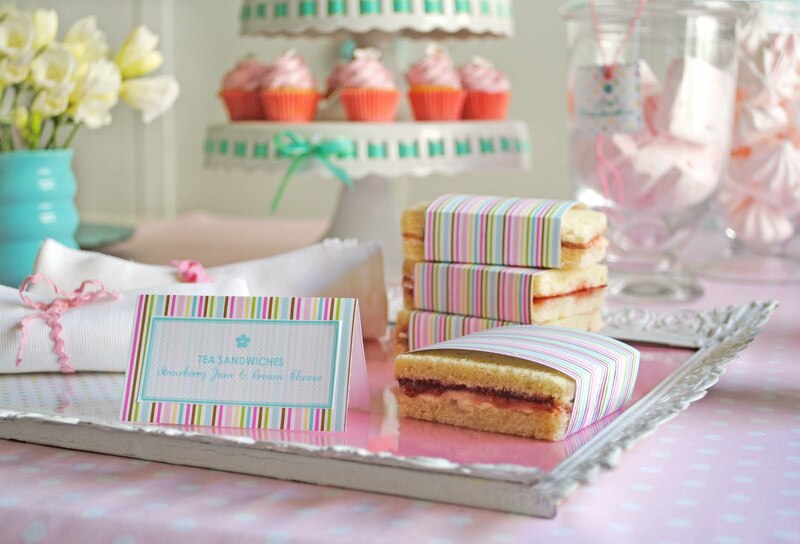 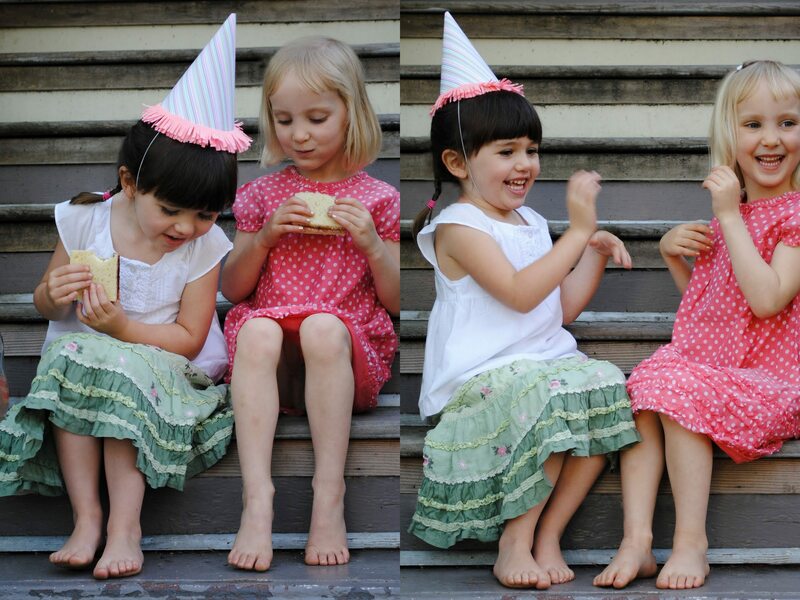 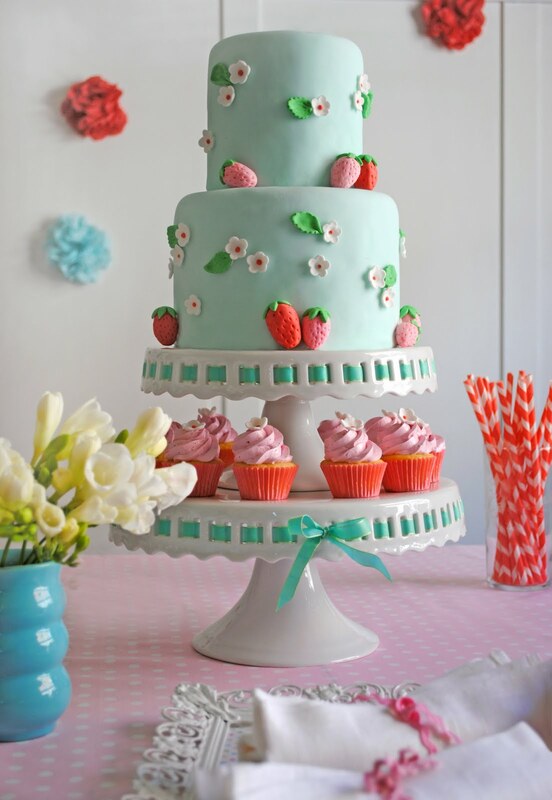 Pretty patterned birthday hats, a spray of miniature paper pom poms across the wall, an exquisitely dainty cake and the perfect pint-size cupcakes and tea sandwiches make this little celebration an immensely memorable one.